Are you ready for your latest business networking event? Are you due to attend your first business event and are not sure what business networking is or what you do? There are some basic things that you can do that will help you enjoy your business event. Some events are specifically set up for networking, they are designed for people to meet and share contacts and business information. Other events are less structured but you will still have the opportunity to meet people from other businesses and network. If you are attending a business event make sure that you have enough business cards to give out to people that you meet and also have a few spares that you can leave with the organisers. Make sure that your contact details are clear on the business card and up to date. There are lots of places where you can get business cards from traditional printers to online printers and you can get them printed in a few days. You don’t need to be a graphic designer to have business cards and most printers will have some designs that you can amend. If you want to have a unique design then find a local graphic designer who can create something for you, they will normally be able to find you a good printer as well. If you are attending a business event they will normally have a list of people who will be attending – this is known as the delegate list. If possible try to get hold of the delegate list before you the event and then you can do some research and identify the people that you want to talk to on the day. It won’t be possible to speak to everyone so you will want to try and identify those people you want to speak to. It might be someone from a particular company or industry. It might be possible that you can ask a friend or colleague to introduce you to someone on the delegate list if you have not meet them for the first time. Try to speak to the event speaker and also the organiser of the event. It is good to get to know the organiser of the event, they will be well connected and can help to introduce you to more people. It is also interesting to meet the speaker and find out more about them, they will normally be interested to meet event delegates. Before you leave the event ask the organiser when the next event is, you can then plan you follow up and put the next event in your schedule. It might be a weekly or monthly event that can be part of your regular business activities. After the event it is a good idea to follow up the contacts you have met. Depending on how your conversation went it might be a telephone call, email or arranging another meeting. Some people will connect via Linkedin. If you have agreed to contact a business contact make sure that you get in touch with them and also ensure that you have the right details for them. Is there anything that you do to prepare for networking events? Do you get your business cards ready? Do you take you work on a iPad or tablet? 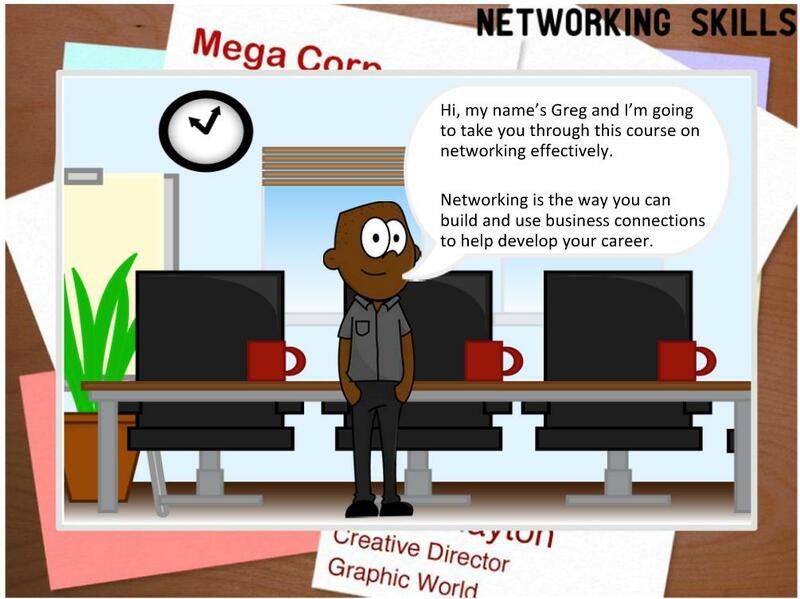 If you are looking for help on business networking then you might be interested in looking at our business networking e-learning course.